From signature cocktails to French culinary, we feature a selection of lavishing gastronomic options. 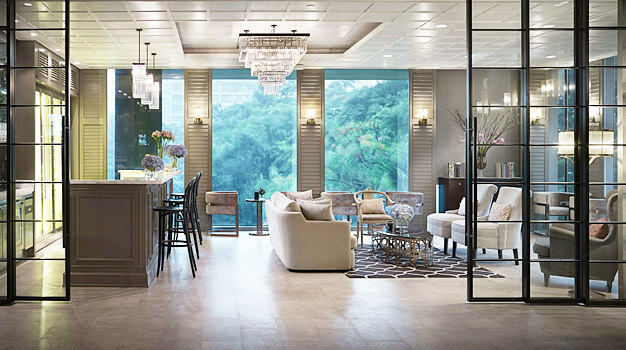 Oriental Residence Bangkok offers distinctive serviced residences in the city’s most notable embassy and shopping district. Featuring 145 lavishly appointed rooms and suites ideal for extended stays, our hotel along Wireless Road offers one Michelin-starred Savelberg Thailand restaurant, chic Cafe Claire, function rooms for meetings and weddings and upgraded comfort at Oriental Plus. Unparalleled attentiveness and award-winning service await you.